I stuck to my morning yoga! I'm not much of an exerciser (ok, I never do), but we're going on a trip this summer & I want to look decent in a bathing suit. So I picked up a yoga dvd & have been doing 20 minute routines every morning this week. I feel so much more awake & energized when I do! I made some mango scones. Yum! Pat & I went out for all-you-can-eat pizza last night with some of the grad students I work with. It was a lot of fun. I'm still stuffed this morning though. Ugh. I crafted (a clean desk is so motivating!) & listed a lot! I've posted some vintage buttons in my sewing shop (I have more than I can work with). And I listed this gorgeous necklace: Each of the links are wrapped by hand. I particularly like the falling rain effect of the gradual shift from white to turquoise. And don't forget to watch my shop for incoming goddess ACEOs! My family is coming down for a visit (and a first communion for my cousin) this weekend - I'm looking forward to it! There's the first Maker's Market on Saturday AND it's Open Doors Hamilton (where all the old buildings let you walk through, maybe with a tour, to learn about the history). It should be a fun time for my mom & I - my younger brother, John, & Pat are getting out of it by going to Kitchener to look for car stuff for John. Men! They won't know what they're missing! These cherry blossoms are pretty sweet too! 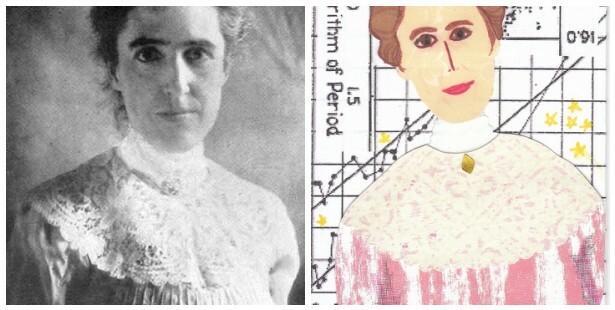 So earlier this month I introduced you to Henrietta Leavitt. Here's the link if you missed it. She was the theme for the MSOE team April challenge & I made an ACEO. In fact, I made the second ACEO in my newly named "Women in Science" ACEO series. Check out the series on my website, here. As with the first brainy lady in the series, I chose to model Henrietta after her most recognizable photograph. Here's a side-by-side comparison - can you tell which is the original photo? I'm particularly pleased with how her face turned out. I think the likeness is pretty good - perhaps with a touch less longing & sadness though? I made her with patterned paper because I love the subtle texture it adds. The background of the ACEO is a couple of graphs I found of her work. 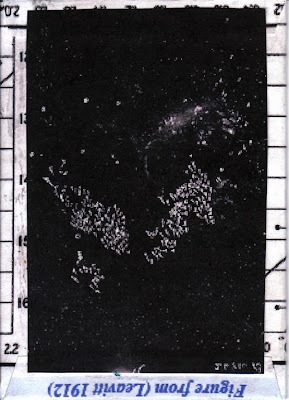 The back is covered with a print-out of a photographic plate similar to one Henrietta analyzed in her lifetime. I'm working on adding to this series (as well as my Klimt goddess series), so keep an eye on my shop, they disappear quickly! 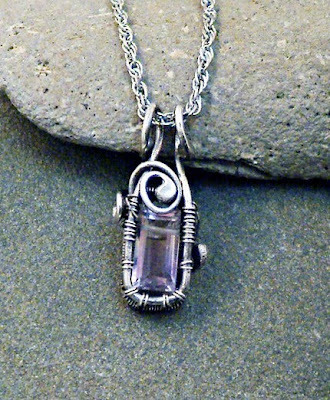 I love this wire-wrapped pendant by twistedsisterarts. Ametrine is one of my (newer) favourites - it ranges from a gorgeous deep purple to a light topaz! 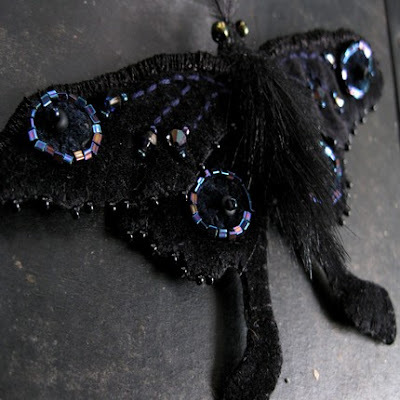 When I first saw these butterfly brooches by ratsliveonnoevilstar, I thought they were real! 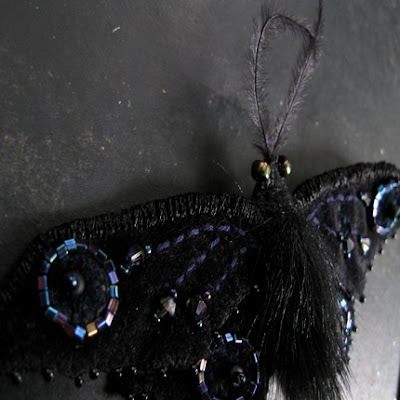 The detailing on this black velvet luna moth is incredible! It's my favourite one I think - which is yours? Another late Science Byte - again, due to actual science taking place. I ran a muscle bath this afternoon. I would normally have started early in the morning, but I only found out at noon that the apparatus was free. So that's when I started & I pretty much just got home. Want to know more about this muscle bath experiment that I was doing today? No? Well too bad, that's all that's filling the space in my head right now. First off - no, I'm not washing my or anyone else's muscles. A muscle bath is a small ... well, bath. It's like a tiny sink that only holds about 3mL (they do come in various sizes too): open at the top & with a valve at the bottom so it can be drained. The bath is made of 2 layers of glass so that hot water can be circulated through to keep the inner bath warm. This picture explains it a bit better. You can see the inside of the chamber (3mL) is a light gray, and it opens to the bottom left (where there's a valve). The bath walls are open at the top left & bottom right (but not open to the inner chamber). What isn't shown is that the top is open to the inner chamber only. I'm not sure what's poking out the bottom in this schematic. The post on the right is a retort stand; the bath is clamped to this. A typical set-up will have 8 or more baths lined up on a bench. The #1 points to the force transducer - this is what is going to give us a measurement for our experiment. #2 points to a muscle ring that is suspended on 2 bars tied with string to the force transducer at the top & a rod at the bottom. I don't use rings (like arteries) I use strips of trachea smooth muscle (they come from a slaughterhouse & I dissect out 1mm strips). Instead of the bars, I simply tie a string to each end of the strip - then one string is attached to a glass rod that sticks into the bath & the other string is tied to the force transducer at the top. Now, we have our piece of muscle strung between a non-moving rod & a force transducer - this will measure any changes in tension in the muscle strip. So I can use certain drugs to cause a contraction & the force transducer will register this - first you'll see a straight line, then it'll rise, making a little hill (or giant peak, depending on the drug). This means that the tension has increased; i.e. the muscle has contracted. Here's a picture of that trace. You can see a large peak (caused by KCl), then a tiny, sharp peak (caused by me hitting the string as I add in the next treatment) and then a slow, small contraction caused by my treatment. So... that's all I can think to say.. any questions? I love the unique shape of this giraffe print by jenkraska - it really suits the animal portrayed. 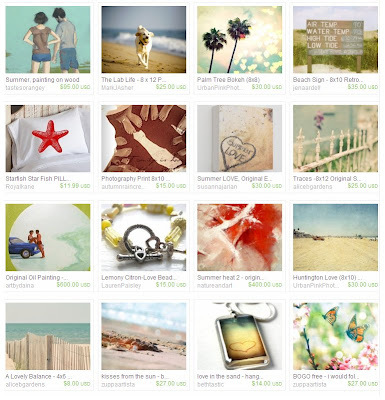 The soft, dreamy style is also one of my favourites. 1. April Showers, 2. 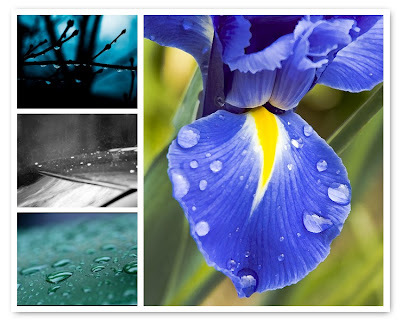 April Shower Droplets, 3. 2139 - April Showers, 4. April Showers Two. 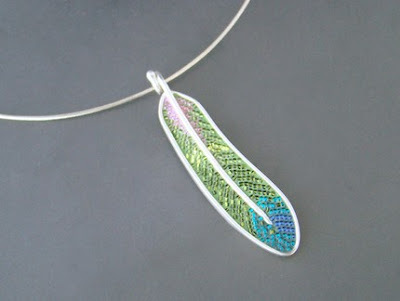 This micro-mosaic feather pendant by CDLjewelry is absolutely stunning! I love these recycled wooden signs by WilliamDohman. 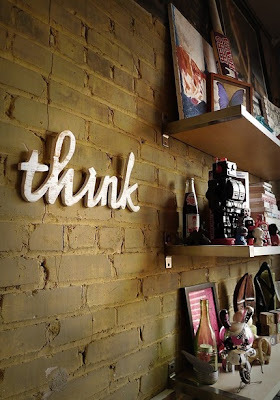 I would definitely put "think" on my wall (or on my desk at work) - it's something too many people forget to do! We're off to go pick up our new car! It hasn't sunk in yet... I still can't believe we're going to have a vehicle... I can't wait! While I'm out, don't forget to take advantage of FREE SHIPPING on my recycled tags (this weekend only). Waste can be as small & insignificant as a tea bag - one might seem like nothing, but one a day, times hundreds of thousands of people, makes for a lot of tea bags. You can be environmentally conscious though & use these awesome reusable bags by thepeacefulpeacock. 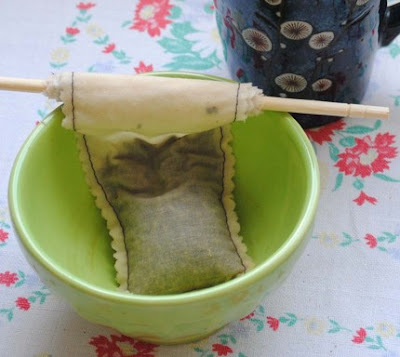 Sweet & simple so that you have your tea in no time! Made some peach cupcakes. I had to improvise the recipe since it called for self-rising flour & I had all purpose. They turned out a bit too salty - blech. So I made orange chocolate chip muffins the next day, Tuesday. Much better! We lost power on Wednesday night. Not for very long, but it's cool to see the entire block blacked out with the rest of the city still powered on. I started organizing my craft desk. I have a file folder that I've been wanting to sort my paper into - by colour. Fun! This frees up a container & a lot of space ... so now I have to decide what's the best spot for everything! 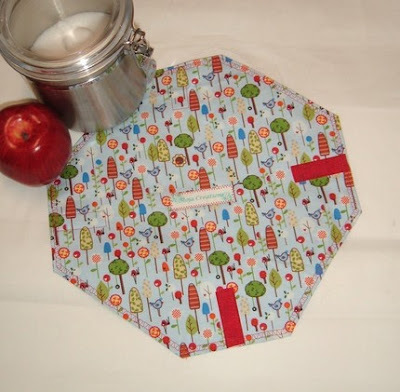 I listed some brand new tags in my paper shop - these ones are completely recycled! I punched them out of pretty Kleenex boxes. 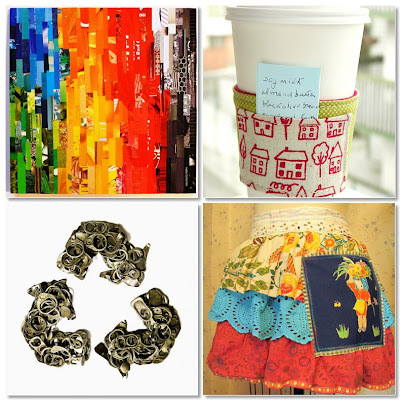 And - for this weekend only in honour of Earth Day - FREE SHIPPING ON RECYCLED ITEMS. Do you ever look at your fancy liquor bottles & wish you didn't have to toss them into the recycling? 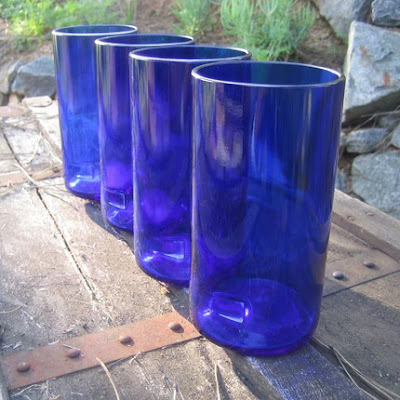 The beautiful glass & funky shapes of those bottles make them perfect crafting material - just look at what bottlehood does with theirs: These cobalt blue Skyy vodka bottles make a great set of tumblers! Yesterday, Pat signed for his first car. And while getting a new car was exciting at first, it's become more than a little stressful. We had 2 cars to decide between... and it wasn't an easy decision. Especially since this is the biggest purchase we've ever made. I liked the other car. I told him that, so he said he'd try to get a few things started with the paperwork (just in case) then come home. He calls back a few minutes later, saying they're offering $300 off the price if he signs now. 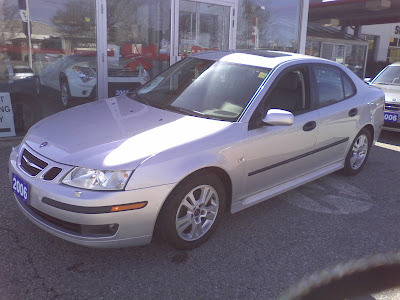 I can't say I'm super excited - I really preferred the other car & felt it was a better deal. I didn't like how desperate the dealership seemed (especially for such a big place compared to where we were looking at the other car). And I really wish we had talked about it a bit more before jumping in. We're getting a new car! Well, used, but new to us. 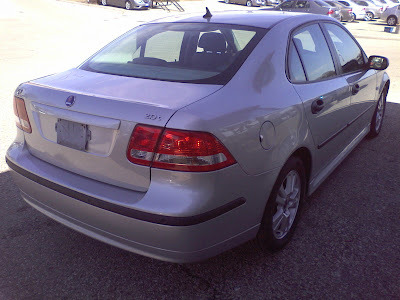 It's a 2005 Saab 9-3 Linear. It's going to be great having a car. No more groceries - or overloaded with Christmas gifts - on the bus. More trips to Michael's (hehehe). No need to rent every time we want to go home for a weekend. So really... I can't wait to go pick it up on Saturday. And it is a pretty sweet car. Try to make a point to go out for a walk today - drink in the warm sunshine & blooming trees (or whatever weather your part of the world may bring)! There's nothing more eco-friendly (and wallet-friendly) than bringing your lunch to work ... but are you still using disposable plastic baggies for your sandwich? Tsk, tsk. You should definitely check out the sandwich wraps in MojaCreations - they're super cute, velcro around your sandwich (so a bun fits too!) 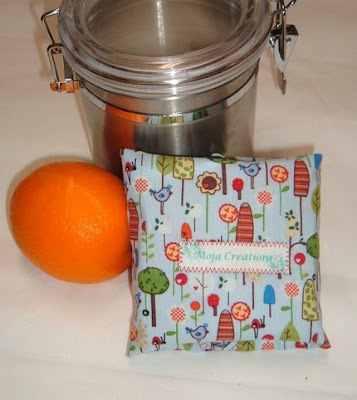 & are completely reusable! 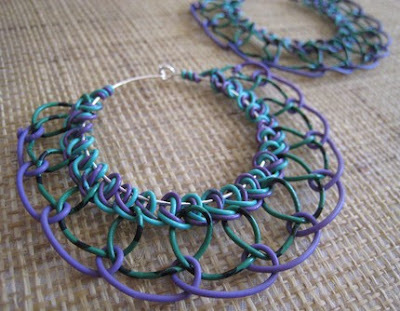 These amazing hoop earrings by lalipourie are made with telephone wire! This wire is great to recycle into jewelry because of the rainbow of fun colours available, as well as its strength & durability. Today's Science Byte is being posted late because I had a busy day in the lab. I had no idea what to post about today ... and then Pat walked in the door, home early from work. So it has got to be quick. So why does it foam? Vinegar & orange juice are acids - and since they're liquids, they're basically dissolved in water (your vinegar is definitely not 100% acetic acid). This means there are free hydrogen ions in the solution (this is a property of acids) - the more hydrogen ions released in solution (this depends on the rest of the molecule, not necessarily how many hydrogens there are), the more acidic the chemical. The concentration of hydrogen ions is what pH measures. Anyway (this was supposed to be short, if not for all the brackets), baking soda (sodium bicarbonate) has the following chemical formula: NaHCO3. The hydrogen ions from the acid can replace the sodium in this compound, giving us H2CO3. Otherwise known as carbonic acid. This acid is special. It doesn't produce hydrogen ions when dissolved in water (H2O) - it reacts! CO2 is carbon dioxide - the gas you see bubbling, or foaming out of your "volcano". And yes, the muffins are delicious (no foam though). 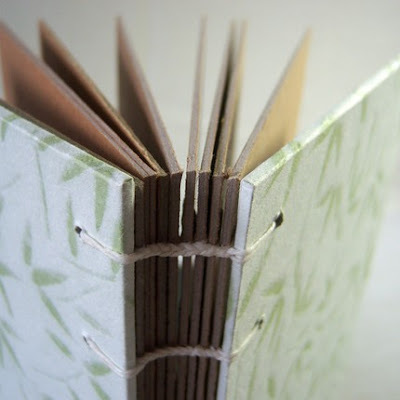 I love these thick sketchbooks by spacedogstudios - perfect for really letting loose on. Even better, they're made of recycled material! Today's eco-friendly item is from prixprix & is constructed from an old suit coat. 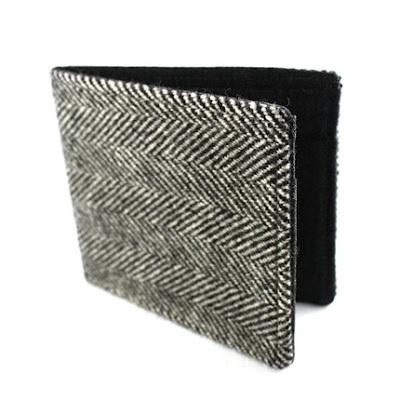 The sleek herringbone fabric makes this wallet a very versatile gift for both guys & girls! 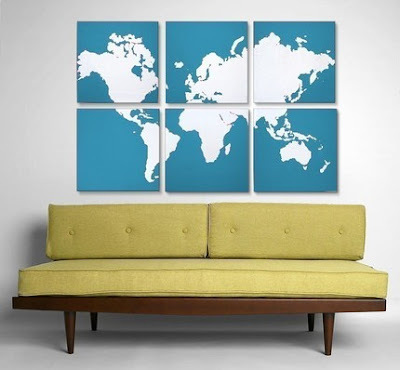 Since Earth Day is this Thursday, I thought I would feature eco-friendly art all week. 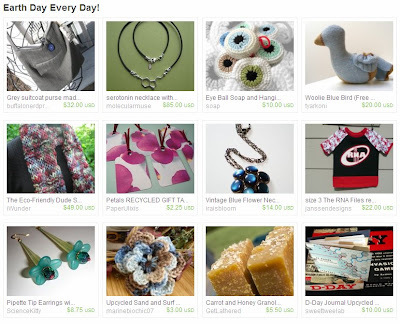 Today's item of the day is from a very special shop - BELLACOSAART, which is run by a good friend of mine, Deana. Not only is her artwork absolutely stunning, but she has a whole line of eco-art too where she's painted on recycled material (I'm the proud owner of a landscape on a piece of cedar siding). 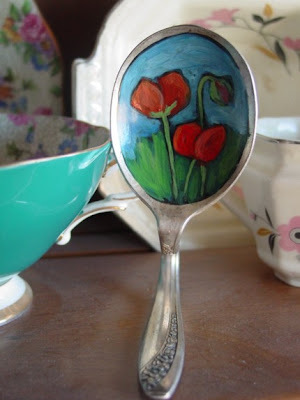 These spoons are a very sweet example. Deana's spoons are actually in the voter this week - if she wins, she gets featured on TheDailyGreen.com. How cool is that? There are 2 days left to vote & Deana's in the lead - why not help keep her there? VOTE HERE! 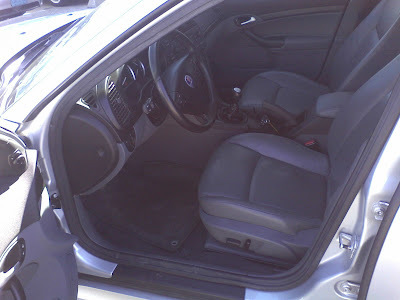 Well, we're off to test drive some cars (I'll be test driving the passenger's seat!) 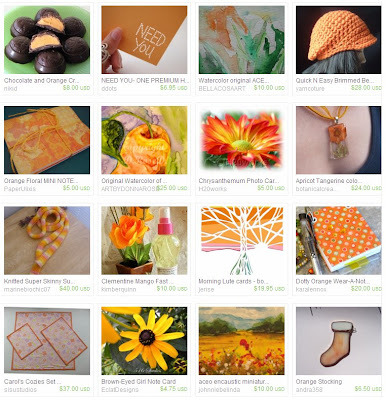 - if you happen to have a chance this weekend, hop on over to my treasury in the new Treasury East. You'll be able to feel the sand between your toes & hear the waves crashing on the beach! 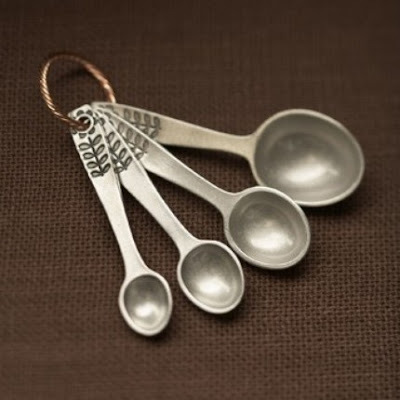 These sweet measuring spoons by beehivekitchenware are sure to get you into the kitchen & baking! finished my paper & handed it in on Monday. I heard back from my prof already - I didn't get a mark back, but my feedback was good. 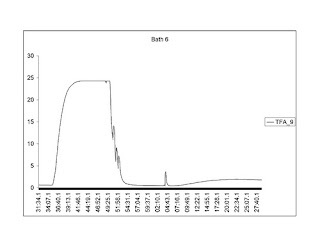 Thursday, I had 2 consents for fat samples - I got both samples, but they were lung instead of fat. The consent forms were quite clear ... but apparently no one reads those. Ugh. Waste. I got my hair trimmed on Thursday. And I received this new shirt by rainbowswirlz (love it!). I made a few custom orders: a necklace to match another one in my shop & a notebook for a friend. 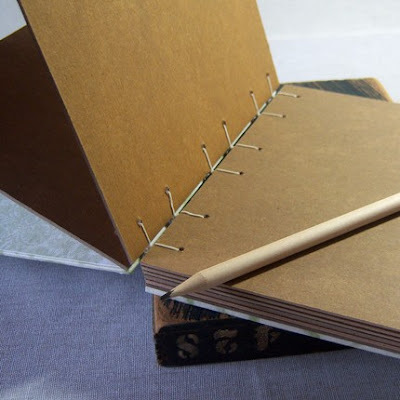 It's been so long since I've sewn together a notebook - I'd forgotten how fun they were! We're going car hunting again this weekend. Pat's booked some test drive appointments, so keep your fingers crossed that we actually find something! 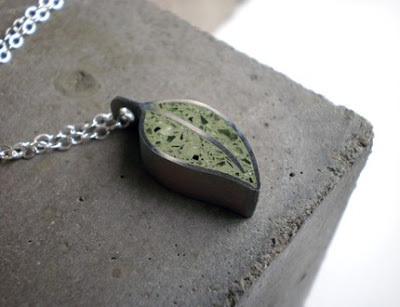 I love this concrete leaf pendant by DrCraze. Not only is the concrete tinted green, but there are shards of recycled glass embedded into it, giving it a cool shine! 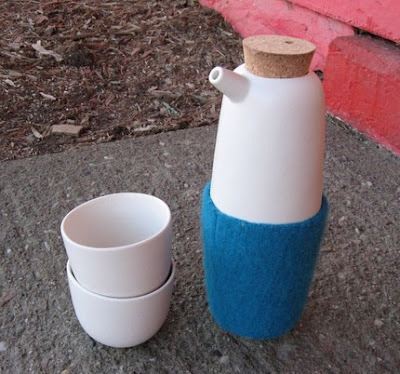 I'm a sucker for a cute teapot & this one by paigerussell is absolutely one of the sweetest I've ever seen! The simple, modern design is stunning! 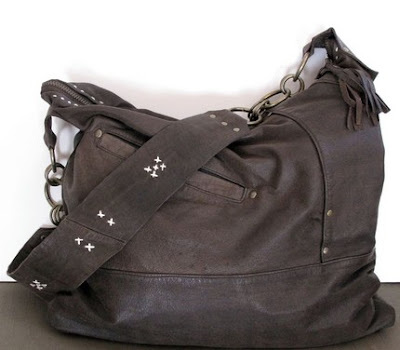 I love this purse by 14xbags - the rocking hardware, the hand-stitched details, and the functional outer pockets - but what I love the most is that it's made from recycled leather! And a recycled zipper - and a vintage scarf lining! Too cool! April's theme is a famous scientist: Henrietta Swan Leavitt. Her name should sound slightly more familiar than the first time I mentioned it (Ada Lovelace day, remember?) - basically, she discovered Cepheid variables, which allowed Edwin Hubble to measure distances between stars, planets and galaxies. OK, I'm wondering too: "what the heck is a Cepheid variable?" - lucky for you, I went to look it up & will tell you. Anyway, Henrietta discovered these stars while working at Harvard College Observatory. She started working there in 1893 & published her findings in 1908 - only 15 years, which is pretty impressive when you find out what she was doing. She was employed as a computer. Yep, before the PC, a computer was actually a job you could have. She was actually part of "Pickering's Harem," the first group of women computers (previously only a man's job)... this of course allowed the men to do all the fun work - women still weren't allowed to use the telescope. (stepping down from soapbox) So Henrietta was a computer - she measured and catalogued the brightness of stars from photographic plates taken at the observatory. That's how she noticed that brighter stars had longer periods - by staring at little dots, comparing their size and brightness. After a while, I think I would start to wonder if I were really measuring differences or just seeing things! After that, Henrietta's health took a turn for the worse. She never fully recovered, probably due to the medical practices at the time. She was made head of Stellar Photometry (doesn't that sound awesome?) at the observatory in 1921 but died later that year of cancer. You can help but feel sorry for her: she struggled her whole life, making only $10 a week as an assistant, never married, no children - and in the end, no recognition for her work during her own lifetime.